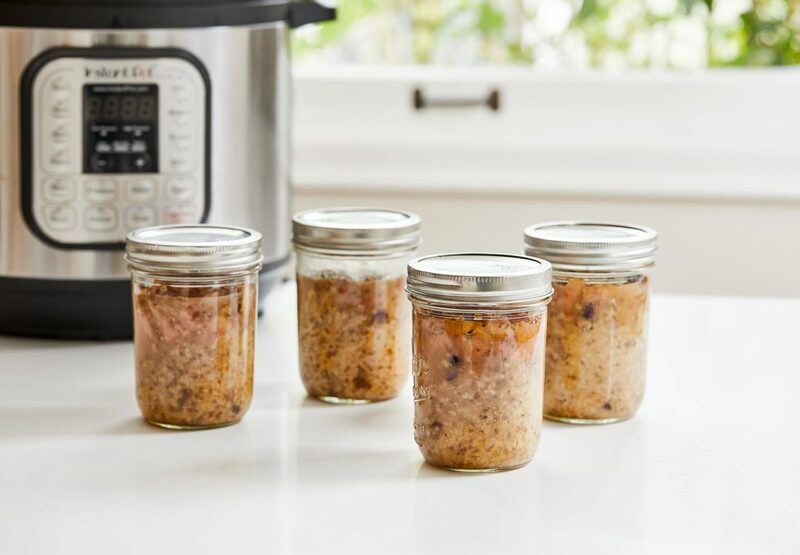 The Instant Pot, that magical cooking appliance that allows you to do everything from sautéing to pressure-cooking, is all the rage right now. I put it to use in the morning to cook steel cut oats in no time. 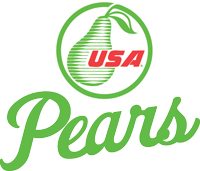 What’s even better is that the oats can be combined with any variety of ripe USA Pears and cooked right in individual mason jars for the family on the go. 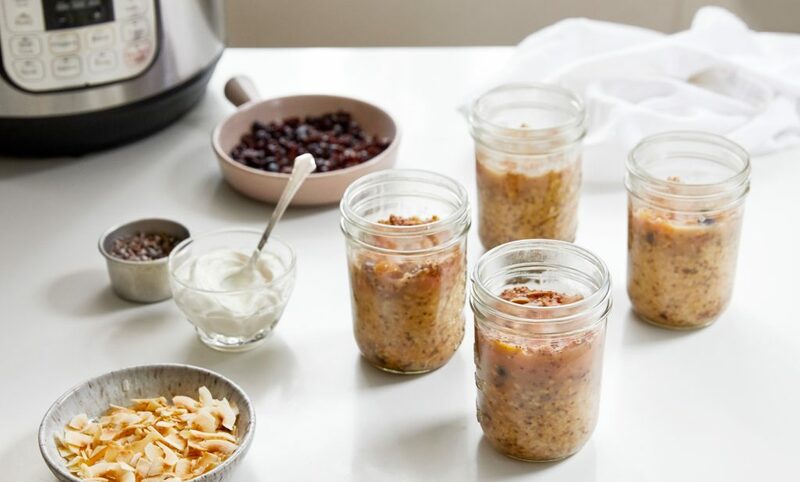 After cooking, the jars are topped with a variety of toppings to jazz up this heart-healthy breakfast. 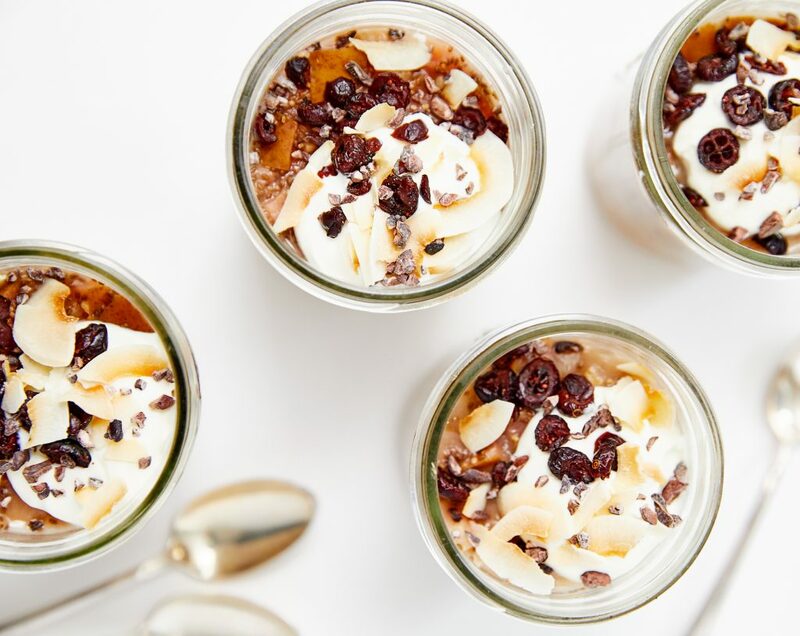 In each of 4 pint-size mason jars, combine 1/2 cup of the pears, 1/4 cup of the oats, 1 tablespoon of the dried fruit, 1 1/2 tablespoons of the honey, 2 teaspoons of the chia seeds, 1/8 teaspoon each of the cardamom and ground ginger, and a pinch of salt. Pour about 3/4 cup water into each jar, leaving at least 1 inch of headspace. Screw on the tops and shake the jars vigorously to mix everything together. Loosen the lids slightly to allow steam to release as they cook. Prepare the Instant Pot by placing a wire rack in the bottom and pouring in 1 cup of water. Place the jars on the rack and secure the top of the pot. Select high pressure and set the timer for 20 minutes. When done cooking, allow the pressure to naturally release for at least 10 minutes, then release any remaining pressure. (Consult the manufacturer’s instructions for safe use.) Open the pressure cooker and carefully remove the hot jars. Allow them to rest until the contents stop bubbling. Remove the lids using hot pads, being careful for steam. Stir each jar, then top as desired with the optional toppings. The oats can be served immediately or the lids can be put back on to serve them later. This entry was posted in Food and Drink Recipes and tagged breakfast, culinary, fiber, health, Nutrition, pear recipes, recipes by Andrea Slonecker. Bookmark the permalink.